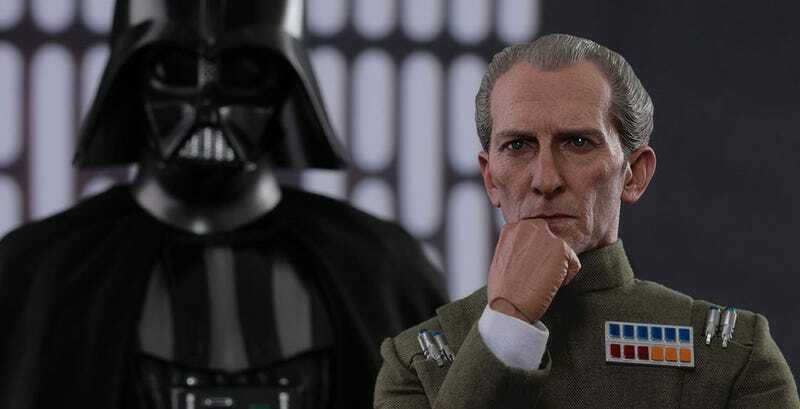 Hot Toys have a couple of new Star Wars toys coming, one for Darth Vader, the other for his shift supervisor Grand Moff Tarkin. Both have existing Hot Toys figures, but these are new versions of them, featuring stuff like better head sculpts and fancier uniforms. Tarkin’s Peter Cushing is especially terrifying, with the wrist joint in the pic above being the only thing stopping it looking like a screencap of Star Wars. The pair are available together for $470, though you can also get them seperately. Please note that Tarkin comes with an office chair, perhaps the only time I will ever think that is a good and cool thing for an expensive action figure to include. Don’t talk to me or my son ever again.